You’re preparing to launch your first blog. Great! If you have some experience with WordPress or some other blog platform, this may be pretty easy for you. 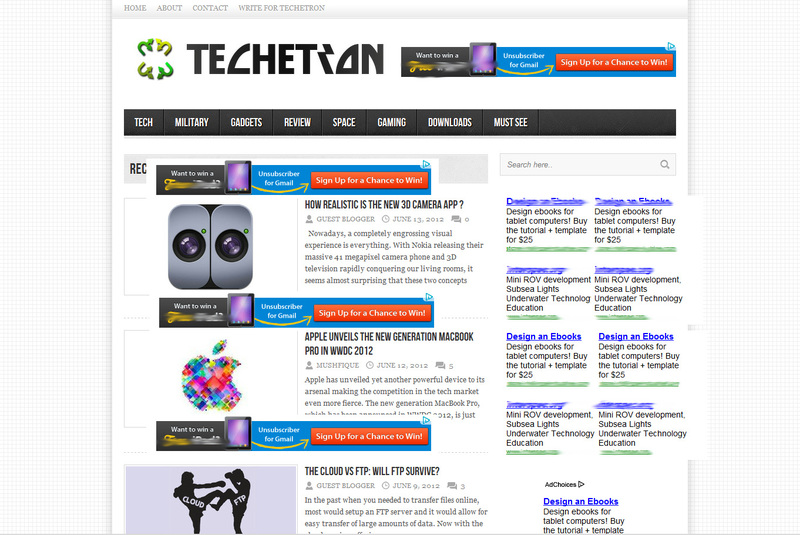 If you’re merely a beginner, you might have a bit of trouble creating a blog design that is functional and appealing. The following are 5 tips you should keep in mind, no matter what, as you design your blog. 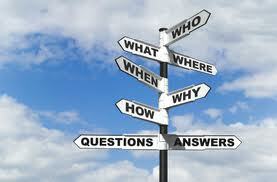 No matter how spectacular your message is, people will not spend any time on your blog if it is not easy to navigate. Even worse, they won’t revisit. They also won’t stay or spend time if your blog’s overall design doesn’t seem to match your intention or purpose. Why would you have a dark and dreary theme for a site dedicated to personal development and upliftment? Make sure everything you do in your blog’s design is easy to navigate and contributes to your end goal. Remember when we were younger and had to type reports for school? We’d choose whatever font we could fit on the page, even if it was just barely readable. Newsflash. People who stumble on your website actually want to read your content but they won’t do so if you make it difficult to see. Choose two or three different fonts (and, likewise, only 2-3 different font colors) and stick with them.The continuity will give your blog a professional, organized feel. Yes, you want to monetize your blog – eventually. The problem is that your blog readers want to be able to easily find your content. If your site is full of advertisements – in the header bar, in the side bars, within the content, between posts, in contextual links – things start to look way too busy to keep people happy. Those who feel you are just spamming them to click on advertisements aren’t likely to come back. Besides, having too many advertisements just looks sloppy. Make sure you don’t go overboard with advertisement space. 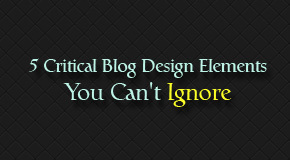 There are a ton of little things to watch out for when you are designing your blog. Internally, make sure even your “admin” login has a human looking name attached to it. If all of your posts are written by “admin” your readers may not trust you. Posts written by “Jane Doe” look like a human being took the time to create them. It’s a minor detail, but it’s important. Make sure your search box is easy to find (offer one, no questions asked), make sure your social media icons are easy to find, and make sure you fill in the blog excerpt boxes so that you don’t end up with strange empty spaces on your pages or on the web. Give your blog a look of completion. When you visit a blog or website, are all of the images, post titles, and edges properly aligned or does it look like someone threw a bunch of different elements at the screen, hoping they’d land in some sort of order? Misalignments, sometimes intentionally made, look slippy and make your site difficult to process from an aesthetic standpoint. If you don’t know how to fix the alignment issues you’re seeing, you may need to hire someone familiar with web coding to help you out. The good news is that most pre-designed blog themes take care of most of these issues for you. Just make sure you don’t mess things up as you make your modifications Remember, your blog isn’t really for you. It’s for your readers. Make sure they’re happy with what they see. Bibi Terboss loves designing new blogs. Once you have the basics covered, you can start to look for the best slider plugin for WordPress, Slidedeck, to match your theme, additional plugins, and special features and functions. Until then, keep things simple. Great tips… they seem simple yet there are many blogs out there that have great content but aren’t getting the traffic because of these simple things. Thanks!